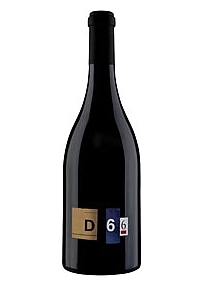 D66 is the inaugural release from our new winery and vineyards in Maury, France. The small town of Maury is in the outer Roussillon very close to the Spanish border and nestled in the Pyrénées-Orientales. We own approximately 235 acres (93 ha.) of mostly Grenache vines with a little Syrah and Carignan. The majority of the vines were planted more than 60 years ago, with many of the vineyards being even older. The terrain is dominated by black schist with a couple small deposits of Granite and Limestone in red rocky soils known as Angile. Schist is a crystalline rock based soil that retains heat well but is poor in organic nutrients and nitrogens. In other words, these vines really have to struggle. The result is a very dark, concentrated, and rich wine. We can't say enough about this town, its people and the vineyards. With the help of our General Manager Richard Case and Vineyard Manager & Cellarmaster Bob Doyle, we hope to make a wine we can be proud of.